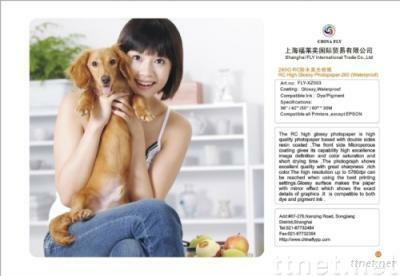 Shanghai Fly International Trade Co.,Ltd. with double sides resin coated . shows the exact details of graphics . It is compatible to both dye and pigment ink .